Can a Housewife File a Separate Tax Return? A housewife may always file a separate tax return. Remember the part of your wedding vows about “until death do us part?” It doesn’t really apply to taxes. The Internal Revenue Service gives all married couples the chance to file individual returns if they choose. While housewives with little or no income may wish to separate their return from their husband’s, in many cases choosing the status of married filing separately may not be to your best advantage. 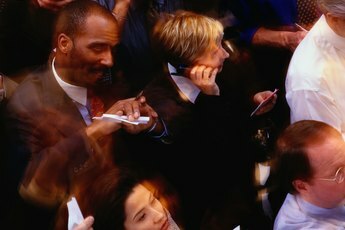 Although dual-income married couples sometimes receive a boost if they file separate returns, single-income families such as yours may actually end up paying more taxes if you file separate returns. As a housewife, your income contribution to the home is negligible, so you’ll pay taxes only on any investment income or part-time work, which is likely to place you in the 10 percent bracket. Your husband’s income may be taxed at a significantly higher rate if he files a separate return, as tax brackets for joint returns aren’t merely double that of single filers. For example, if your husband earns $90,000 and files a joint return, he’ll pay 25 percent taxes, but if he files singly, he’ll owe 28 percent. When it comes time to hand out credits -- which reduce your tax bill on a dollar-per-dollar basis -- the IRS is much more stingy toward married couples who file separate returns. You and your husband will have to forgo any earned income credit for which you qualify, and you can’t take the child or dependent care credit in most cases. You’ll also give up your ability to claim any exclusions or credits for adoption and education credits and the size of many of the other credits you can still claim shrinks drastically. If you and your husband file separate returns, you’ll need to be on the same page on how you handle deductions. You must either both itemize or both claim the standard deduction. This may end up leaving potential deductions on the table if one of you must itemize your deductions and the other has few deductions. In some cases, if you or your husband spent a lot of time at the doctor’s office, you may be better off filing separate returns. You can only deduct medical expenses that exceed 7.5 percent of your adjusted gross income, so if you had a hefty pile of medical bills and little income to pay for them, you may be able to take a bigger deduction and lower your tax bill if you separate your income from your husband’s. 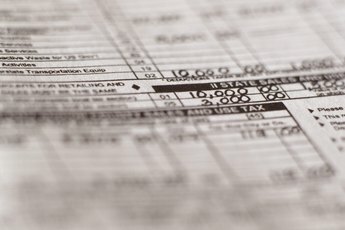 If you’re afraid your husband plays a too little fast and loose with his definitions of income and qualifying deductions for your liking -- and the liking of the IRS auditors -- you may want to file a separate return to shield yourself from any repercussions that may come from filing an inaccurate or fraudulent return. The IRS will prosecute both names on a joint return, whether you have income or not, and consider your signature on the bottom as an implicit endorsement of your hubby’s tactics. If you file a separate return and your husband finds himself in hot water over his return, you’ll retain your good name, not to mention be off the hook for any fines or jail time. If My Husband and I File Taxes Separately Can He Still Claim Me? 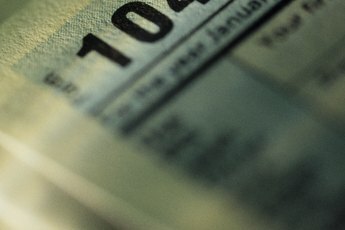 What Are the Benefits of Marriage on Taxes? How Will Marriage Affect My Taxes? Why Are Taxes More When Filing Jointly? Can Married People File Taxes Separately?